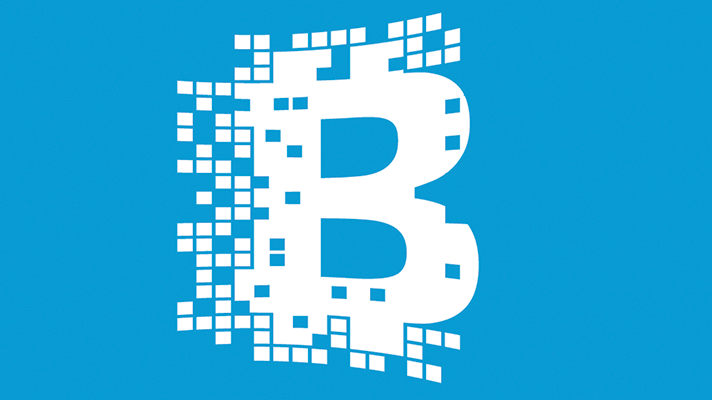 ORLANDO – At HIMSS17 on Wednesday, IEEE Computer Society and the Personal Connected Health Alliance hosted a day-long event focused on the potentially transformative promise of an intriguing innovation: Blockchain. Kicking off the symposium, "Blockchain in Healthcare: A Rock Stars of Technology Event," Tamara StClaire, previous chief innovation officer at Conduent Health (formerly known as Xerox Healthcare), made the case that the bitcoin-derived secure digital ledger technology could just maybe offer the answer to an array of vexing healthcare challenges – not least of which is interoperability. "The current infrastructure is really inadequate to handle information exchange," she said. "Blockchain has the opportunity to impact those infrastructure challenges." StClaire said she was skeptical at first. And she's hardly the only one. Blockchain is just about at the "peak of inflated expectations" on the most recent edition of the Gartner Hype Cycle. Nonetheless, "there's a lot of movement there," she said, pointing to two recent studies from IBM and Deloitte. The first showed that 16 percent of payer and provider executives expect to have a commercial blockchain application at scale in 2017. The other found that healthcare and life sciences plan the most aggressive deployments of blockchain across all industries, with 35 percent of respondents saying their company plans to deploy it within the next year. "Despite Gartner's caution, a lot of people believe there's going to be momentum and acceleration," said StClaire. It could "impact almost every healthcare transaction" and "has a global ability to change the way we think." She offered several potential use cases for blockchain in healthcare. Master patient index. Blockchain "could solve the challenge health systems have when their data sets get mismatched, or the problem of duplicate records," said StClaire. For one thing, under the current system, there are "20 different ways you can enter date-of-birth. Not a really great approach." Another challenge is that "this information is centralized with a single trusted source – to me that's the downside of the ways we're approaching MPIs today. Even within organizations, error rates for being able to successfully identify or integrate a file are 25 percent; outside the walls, they're 50 or 60 percent." But the very nature of blockchain "actually incorporates MPI," she said. "One way to think about it is the fact that not your identification but your data is hashed to the ledger. It's an address you're looking for. And there can be multiple addresses. And a patient can hold multiple keys to those addresses in their electronic wallet." One thing that doesn't quite jibe with that approach, however, is when there's an institution that actually owns that patient identification, said StClaire. "If we're going to move to blockchain, we have to tip that philosophy on its head." Claims adjudication. Automated adjudication means being able to automatically take a claim and decide whether it's going to be paid or denied without manual intervention. 80 percent of claims are done this way. But claims are getting a lot more complex, said StClaire, and more importantly there's error and fraud already in that 80 percent. "There are a lot of processes that can be automated when you think of blockchain that are just slightly peripheral to this," she said, such as "maintaining a benefits database, determining patient insurance." Blockchain offers an opportunity for "disintermediation and trustless exchange," said StClaire. "To me, this is when we think about the whole process of claims as an area that can be completely disintermediated. She pointed to the use of blockchain's so-called "smart contracts," where the network can agree upon the way the contract is executed. "An easy win here is blockchain-like: Roughly 6 percent of all claims are denied because of incomplete or incorrect information," she said. Blockchain could help by enabling the updating of information continuously and distributing it to the right network. Interoperability. The ability of two or more systems to exchange information, and be able to use the information that's exchanged, working together across organizations to improve patient health, is "the very promise of health IT," said StClaire. "It's what we've been driving for for the past decade." But as is widely known across the healthcare industry, it's much easier said than done. "Blockchain has the opportunity to help us with interoperability," she said. "If we think about a health chain, we can use industry standards related to APIs to exchange patient information. The challenge with this is it really tips ownership on its head, tips access on its head." Longitudinal health records. "A lot of these use cases stem from the way we think of healthcare now," said StClaire. "But if we think about what blockchain can do, these use cases blend into each other. "If we think about a longitudinal health record, one of the reasons this is important: most of us go to our primary care roughly 54 percent of the time we engage with care. The other 46 percent (of clinicians) doesn't have a complete view of our health history. We need a clinical summary, view into what's going on with that patient: labs, treatments, diagnoses." Blockchain methods could help speed the way toward the "Holy Grail," she said: a longitudinal view, including inpatient, ambulatory and wearable data, that could help with more "innovative ways to deliver care. Supply chain. By leveraging blockchain-based smart contracts and the Internet of Things, healthcare organization can "monitor something through its entire lifecycle," said StClaire. "Determine when someone gets paid, determine whether contracts or agreements are executed properly and on-time. I know several folks on the supply side of healthcare that are very interested in this application." Clinical Trials. "One of the things you can think about is having a layer where you have data and information, deidentified and available," she said. "As researcher in clinical trials, you can imagine having access to this wealth of data that now is completely siloed to help you recruit patients for clinical trials or help you to do research. This is a platform that could actually get us there." StClaire rattled off a list of recent blockchain-related activity that suggests a keen level of interest in its potential applications in healthcare. ONC's Blockchain Challenge got more than 70 white paper submissions. Philips Healthcare has launched a lab specifically aimed at blockchain research. The Hyperledger Healthcare Working Group features participants such as Accenture, Gem, Hashed Health, Kaiser Permanente and IBM. The MedRec platform developed by the MIT Media Lab and tested at Beth Israel Deaconess Medical Center is decentralized EMR management using blockchain tech to manage authentication, accountability and data sharing. Still, she said, "it's really responsible for us to think about some of the challenges that are still ahead." There are technical hurdles aplenty, of course. But academia and industry trying to solve them, and at any rate, "they're really minor compared with inertia." Among the technology-specific challenges: blockchain ledgers, with their secure blocks, make it hard to gain insights from the data. "It's difficult to think about how you do analytics on encrypted information," said StClaire. "People tried to take the information out of the blockchain to do analytics, but then you really destroy the whole reason you have it on the blockchain, which is security and privacy," she said. "There are a lot of smart minds rallying around how to do this. One is called homomorphic encryption." Another challenge is related to proof of work, she said. "The way verification and validation is done with bitcoin takes a lot of energy, it's really not scalable for healthcare. And so again, the industry is looking at ways to tackle that." One of them is blockchain's "proof-of-stake" algorithm. "It's where you now have this permissioned network, versus this permissionless network. The folks within that network are responsible for verification and validation." The fact that blockchain gives patients more control over their data is also something else to consider. "Think about transferring ownership of data to patients," she said. "All of a sudden we have a new paradigm about the way we think of privacy. We may need to set default levels for the people who are uncomfortable with the magnitude of that responsibility. There's a lot we need to dig into, and that conversation needs to start." As for regulation and oversight, "we need regulatory bodies at the table," she said. "One perspective is that we don't want to get regulators involved yet because we don't know what to ask them to regulate at this juncture. And I think that's probably pretty right on. But at some point you want them at the table so they're comfortable with what we're putting forth." The biggest challenge to blockchain's potential, however, is industry inertia, said StClaire. "In some ways we're serving up some of the potential answers to some of the biggest challenges we've been facing in healthcare over the past couple decades. But if you think of the business models of some of the big incumbents: Owning this data, keeping it siloed, not making it transparent to other people in the network, especially patients and users. That's a really big hurdle to tackle." That said, for all the hype and challenges it seems apparent that this technology has at least the potential for an interesting future in healthcare. "I started out pretty skeptical about blockchain," StClaire said. "But when you're in the room with people who are excited about the applications and implications in healthcare, it gets you pretty riled up."